Today I managed to repair one of my older cameras, that had a different type of sensor to the common CMOS when it came out. I decided to go where I knew the Emu were walking today. The results were that I was able to photograph wide open and capture many subtle blue tones that modern cameras don't. So this week we are going to be in for a treat. Below we have an emu sitting with a small pond. In the low light, we can see long shadows and lots of detail. 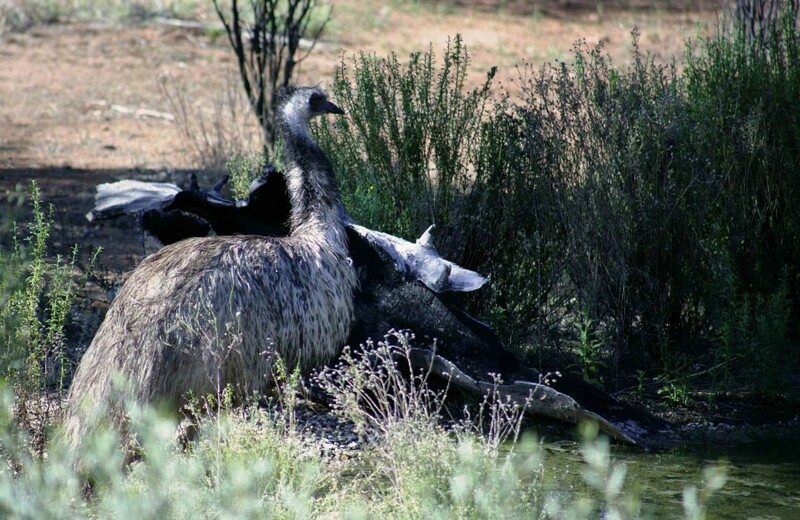 Particularly the pale blue face of the emu. Shortly afterwards the bird noticed me and ran away. But the Encounter was well timed. The picture turned out really well. Which is encouraging. So I have decided to give it a go for a while and see what quality photographs I can take with it. In many ways, it is a bit like a vintage car. Very cool, in its own way.